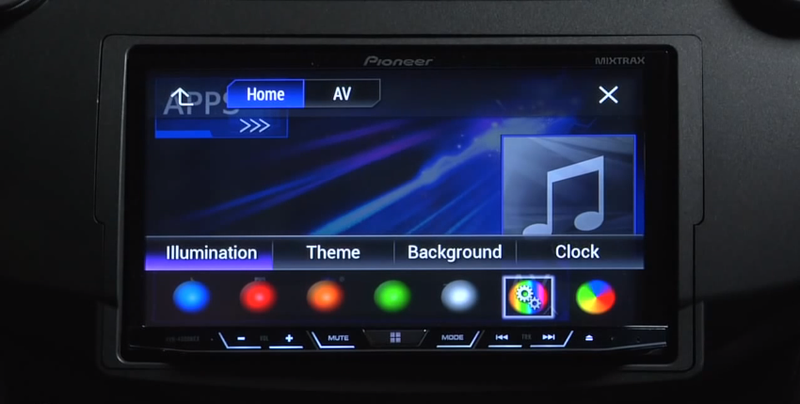 Pioneer's 2014 line of car head units, NEX or Networked Entertainment eXperience, may well be ahead of all other competition when it comes to the features it offers. There's Apple CarPlay coming soon to these five receivers but some of the other features are also very good. Take the display, for example. The appearance of the head unit display can be customized to make it look the way you want. Right from the background image, colors, and illumination to the clock font, everything can be adjusted. My favorite is the ability to adjust the color on the backlit hard buttons on the head unit (called 'illumination' in the settings menu). The head unit shown above is the AVH-4000NEX.